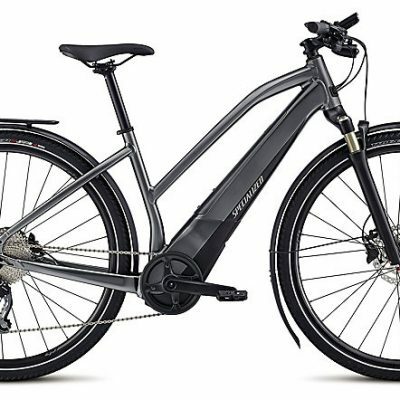 The Sirrus Disc has been a best seller here at Worcester Cycle Centre for many years and continues to be with the 2019 version. It takes a no-nonsense approach to its design, giving you everything that you need, like superior braking, and nothing that you don’t. 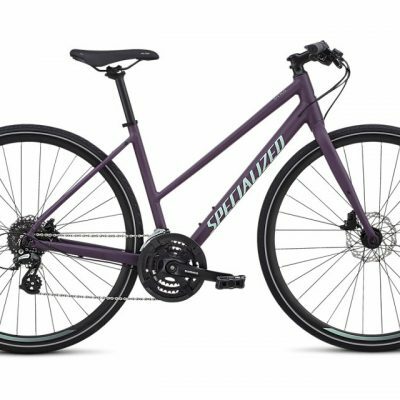 Category: Hybrid Bikes Brands: Specialized. If you’re going to get in shape you need to move, and nothing wants to help you move faster than the Sirrus Disc. It takes a no-nonsense approach to its design, giving you everything that you need, like superior braking, and nothing that you don’t. 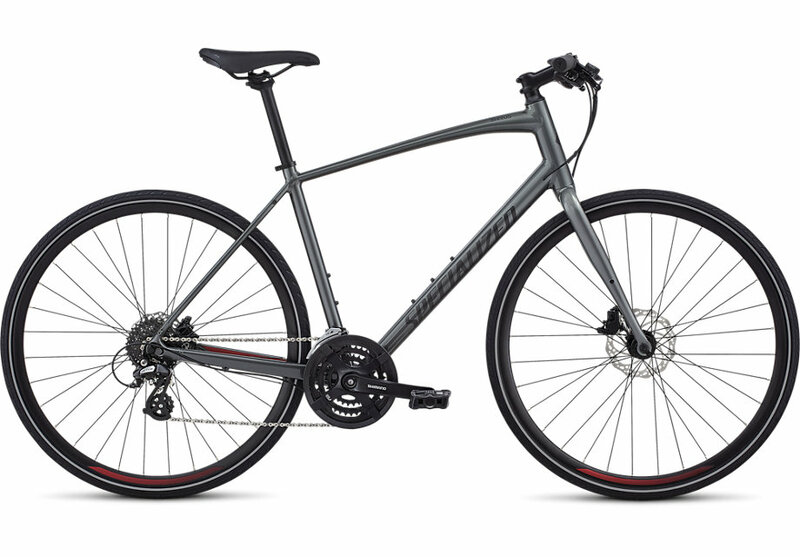 The 2019 Sirrus Disc is constructed from a durable, reliable, and lightweight A1 Premium aluminium, and it features a reliable set of components that are built to withstand years of daily abuse, powerful hydraulic disc brakes that provide reliable stopping power in any condition, and comforting Body Geometry touch points that are sure to take the sting out of long rides. Complacency just met its match. 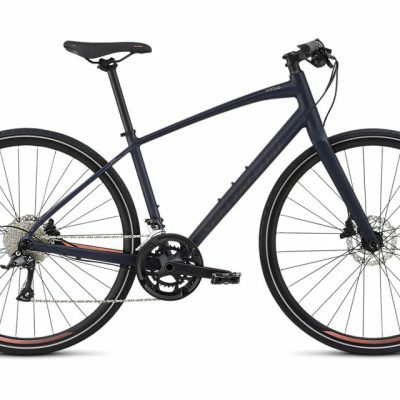 A Specialized Canopy Sport saddle offers plenty of support and cushion to ensure you’re comfortable out on the road. Promax F1 hydraulic disc brakes are spec’d on the Sirrus Disc to ensure consistent, powerful braking.